Now you can get this Bracelet With End Beads. It is a nice bangle style bracelet that is brown with and an open end and each end have a pipal tree seed bead on the ends of which one is light and one is dark in color. And you can get this bracelet in a bunch of sizes. 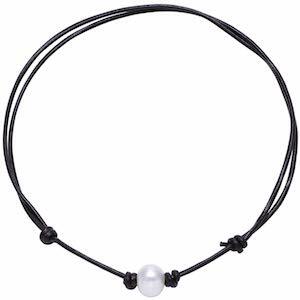 This is a minimalist Buddhist style bracelet that looks really nice and works with lots of your outfits. Now you can be wearing these amazing looking Pearl Earrings With Rabbit Ears. These earrings have some nice freshwater pearls and then from the back of the pearls you can see some rabbit ears sticking up and these ears are made from sterling silver. 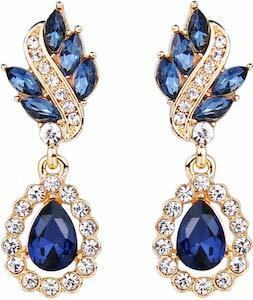 Fun earrings like these are great for any day of the year but they are especially great for Easter. 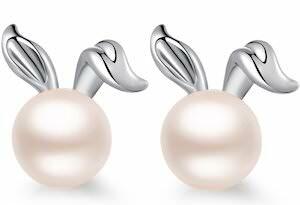 And these pearl bunny earrings come in a nice gift box so that they are also the perfect gift for someone special in your life. Now there is this special Skulls And Bling Ring that is unique and amazing. 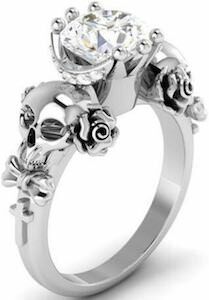 This ring is made from 925 sterling silver with a big Cubic Zircons gem stone and smaller once around it and then on the band you can see a skull on each side with a rose on top and a bow and cross below it. If you like skulls and jewelry then this is one of those piece you should see. You can get this ring in ringsides 3 – 15 so you can get the perfect size for you. A ring like this looks so nice that it could be your engagement ring. 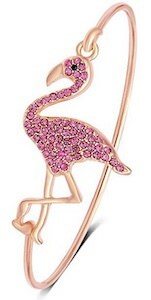 Now there is a nice Flamingo Bracelet. This is a rose gold bracelet but also comes in gold and silver and it makes for a nice present for someone special in your life. The braclet is like a bangle bracelet with on it a big flamingo that is covered in colorful gems and the rose gold bracelet has pink stone but the other bracelets can have different colors stones so click on the picture to see all your options. The long legged bird will just look stunning around your wrist and comes in a gift box for storing and giving. Now you can have these Lotus Earrings in your ears. These earrings are different as the front of the ear only shows a little bar while the lotus flower comes from behind the earlobe. 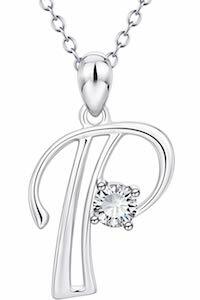 And as it is hard to choose between silver and gold color jewelry they help you by getting you both and they come in a gift box. 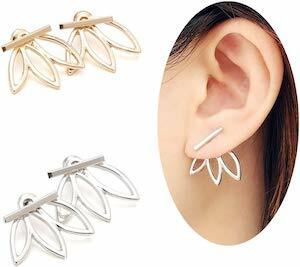 Now you can have lotus flowers hanging from your ears in a way that people will admire as it looks so cool. 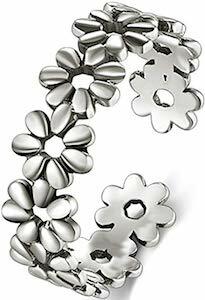 Now there is a nice looking silver daisies toe ring. 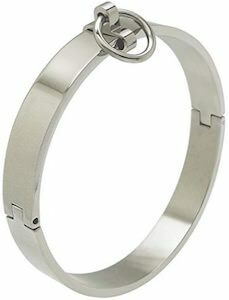 The toe ring is made from 925 Sterling silver and is open at one end so that you can adjust it to fit your toes perfectly. The whole ring is little daisies and that just looks really neat and brings you the feeling of summer. Now you can have nice toe jewelry that will look great when you wear sandals and everyone can admire your toes with flowers around them.